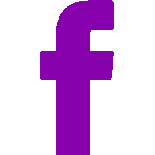 Sinister Wisdom 94: Lesbians and Exile confronts the challenges that face lesbians living where lesbian identity is still dangerous. 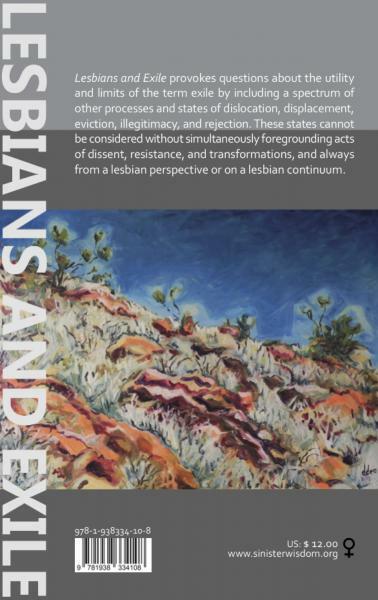 Considering the many facets of exile and its relationship to lesbian identity, Lesbians in Exile, coedited by Joan Nestle and Yasmin Tambiah, addresses topics such as law and human rights, gender, ethnicity, culture. Significant circumstances of war and conflict are highlighted with explorations of how they distinctly affect lesbian identity in various parts of the world. 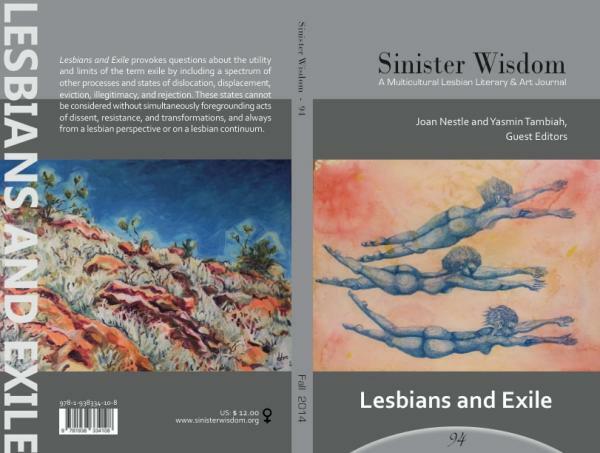 Sinister Wisdom 94: Lesbians and Exile is sold out. It is available as an ebook here. Listen to Joan Nestle on Out in South London here (Joan begins at minute 26). Profile of the issue and Joan Nestle at Curve Magazine.